Nathan C. Thoma, PhD, is Clinical Instructor of Psychology at Weill Cornell Medical College. He is a Diplomate of the Academy of Cognitive Therapy and serves as Member-at-Large and Membership Chair for the New York City Cognitive Behavioral Therapy Association. 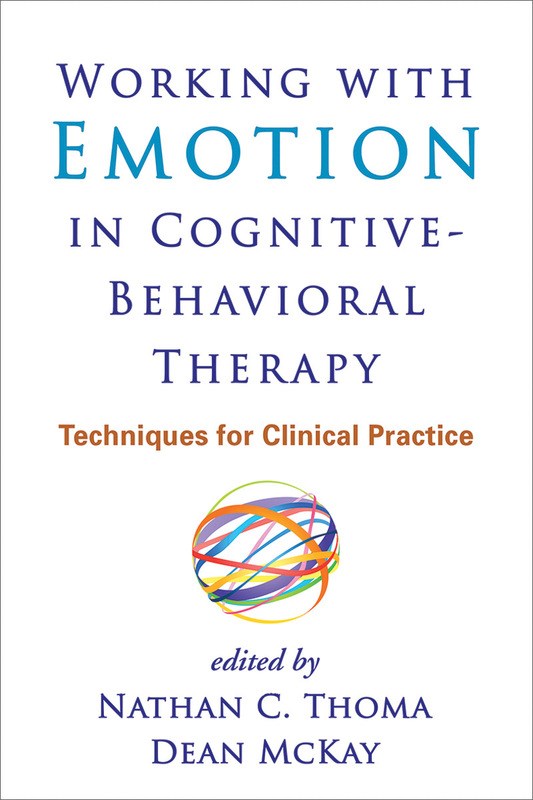 His clinical interests center on integrating experiential, interpersonal, and relational approaches into CBT, and he has undergone advanced training in emotion-focused therapy and schema therapy. Dr. Thoma has published on a variety of topics related to psychotherapy research, including an article in the American Journal of Psychiatry that was named by the editors as one of the seven most important articles of the year. Dean McKay, PhD, ABPP, is Professor of Psychology at Fordham University, where he is a faculty member in the Doctoral Training Program in Clinical Psychology. He serves on the board of directors of the CBT specialty area of the American Board of Professional Psychology and is 2013-2014 President of the Association for Behavioral and Cognitive Therapies. He also serves on the Scientific Advisory Board of the International Obsessive-Compulsive Disorder Foundation and the Scientific Council of the Anxiety and Depression Association of America. Dr. McKay has published more than 195 articles, book chapters, and books, and is founder and codirector of a group private practice in White Plains, New York.